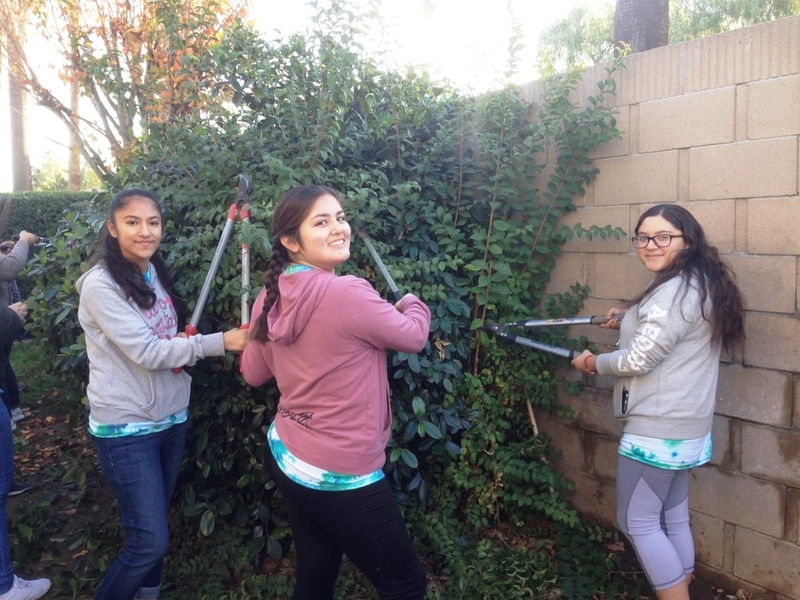 On Saturday, January 13th, students from Ramona High School’s Habitat for Humanity Campus Chapter volunteered their morning to assist Daniel and Rose with landscaping work around their home. Daniel, a disabled veteran, resides with his wife, Rose, in Corona Palms Mobile Home Park. They contacted Habitat for Humanity for helping hands to aid in maintaining their yard. These students, who are regular volunteers for our “A Brush with Kindness” projects, were excited to tackle a new task. 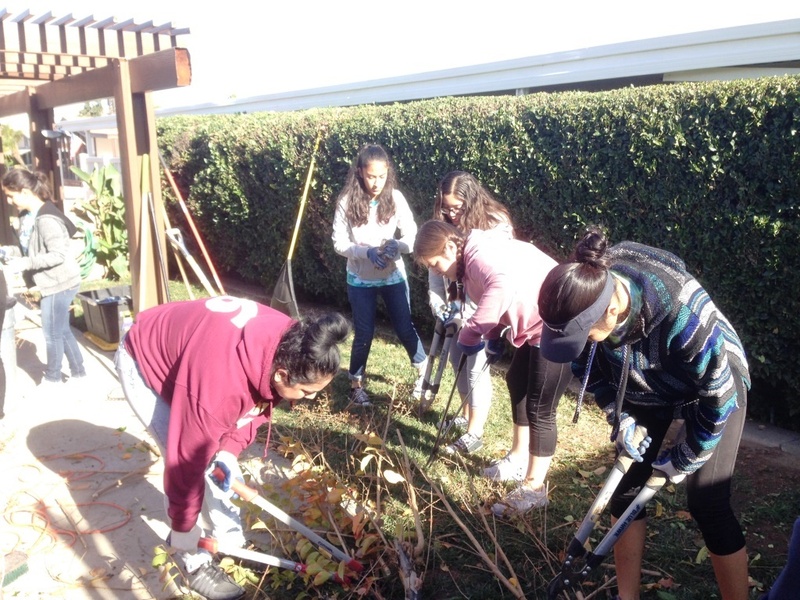 During a brief safety introduction, the students quickly familiarized themselves with yard tools such as shears, clippers, pick axes, shovels, and rakes. Next, they grabbed their tools and divided into small groups to work on separate areas. The atmosphere was calm and relaxed. Some began work on trimming overgrown bushes, while others used the pick axes to break down roots in order to remove a large stump. Several volunteers also helped plant roses, for Rose, in front of the home. Towards the end, everyone gathered together to work on breaking down large branches so they could fit into disposal bags. In no time, the yard was raked, swept and cleared. 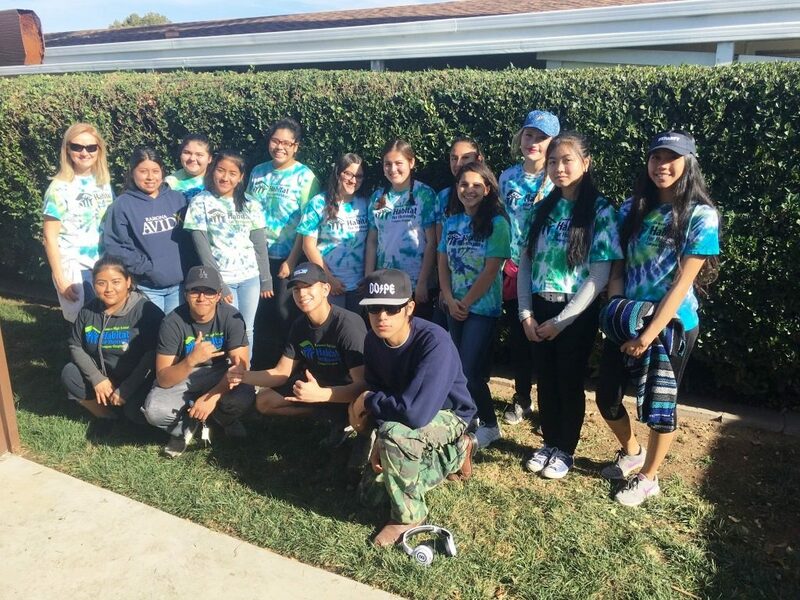 Thank you Ramona High School Habitat for Humanity Campus Chapter for continuously contributing your time and service to the community!